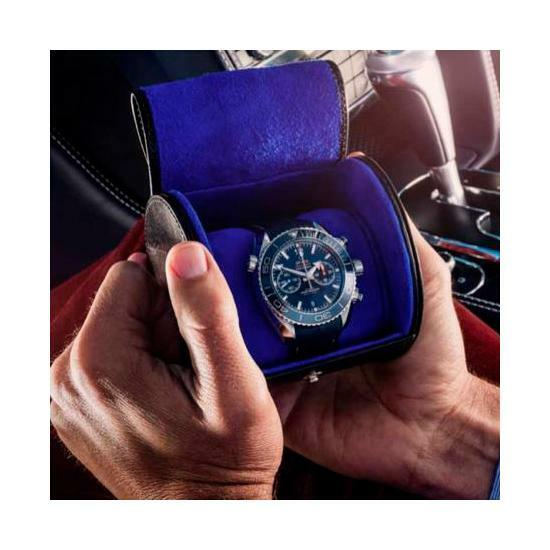 Store and protect your most treasured time piece investments whilst away on business or holiday with our luxurious Travel Watch Roll. 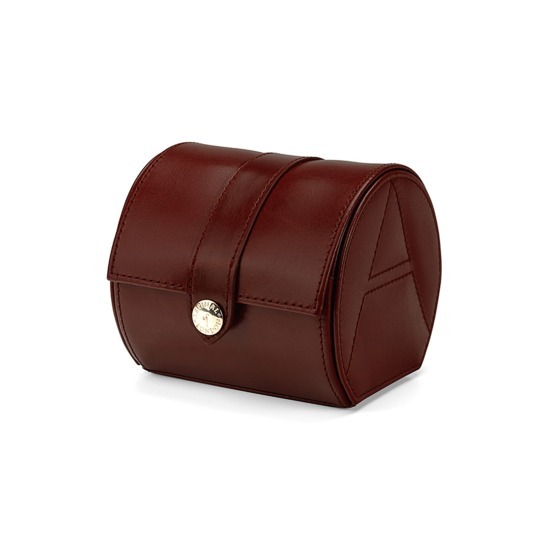 Handmade from the finest smooth cognac brown Italian calf leather and lavishly lined in contrasting stone soft suede, our Travel Watch Roll will safeguard one or two of your most treasured watches (depending on size) from dust and scratches whilst on your travels. 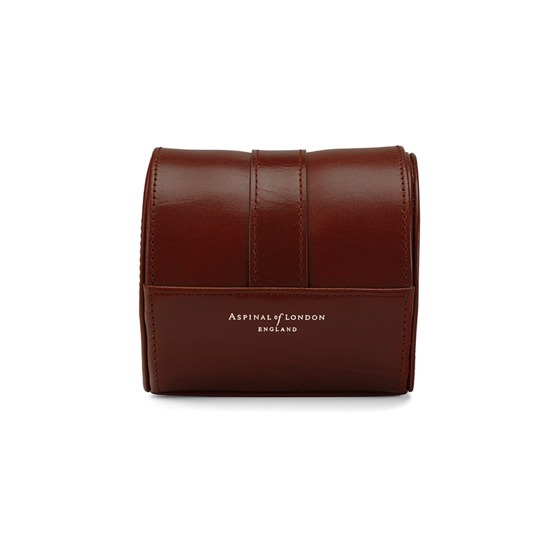 The structured chest shaped design with discreet "A" stitch detailing at each end has a flat base and a soft leather flip top lid secured via the leather tab with signature snap fastener. 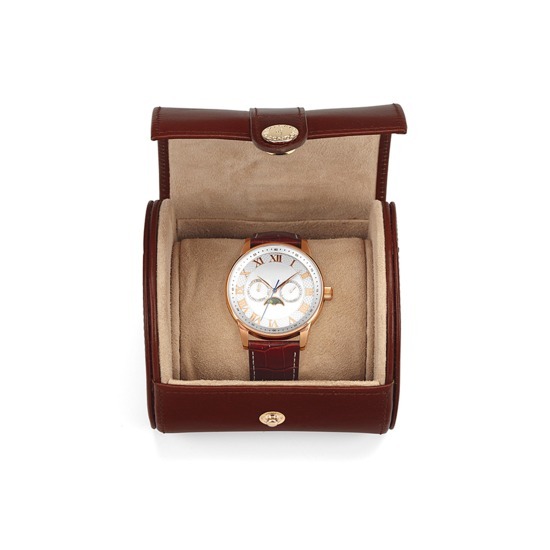 The removable soft suede padded watch cushion is 3.2" / 8.4cm wide allowing it to accommodate all styles of timepieces from a dress watch to a large oversized sports watch. The compact size is perfect for popping in an overnight bag or suitcase and will make a stylish luxury gift for the most discerning of gents. 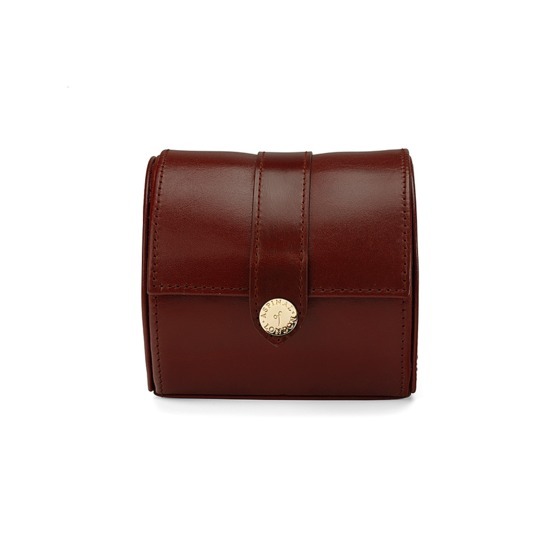 Dimensions: 3.5" (H) x 4" (W) x 5.7" (D) / Cushion width: 3.2"